What kid (and mom!) 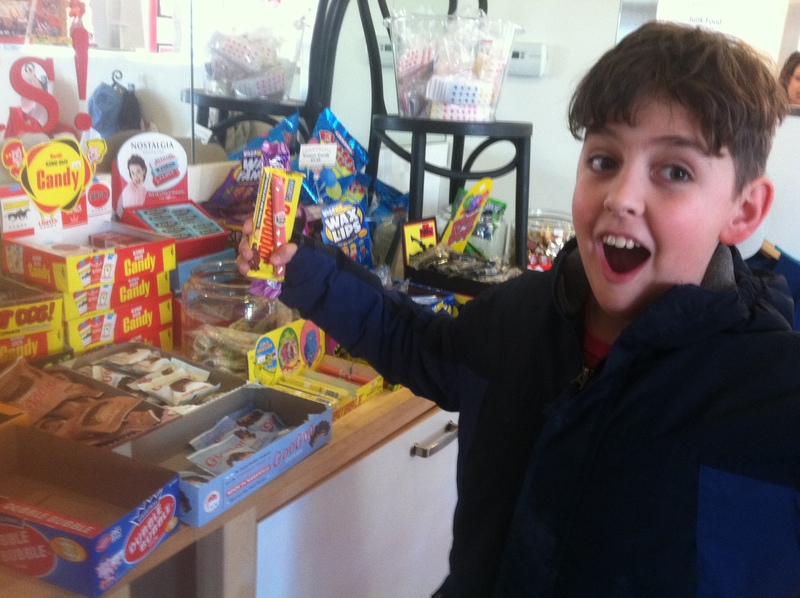 doesn’t love a good old-fashioned candy shop? Here in Chicago, we’ve got Candyality, one of the sweetest destinations in the city! My kids will never pass up a pit stop for their favorite sweets at this adorable shop. Candyality carries every type of candy you can imagine, with a wide selection available in bulk and individually-wrapped. You’ll find gummies, chocolates, retro candies, truffles, rainbows of jellybeans, a licorice bar (including my fave, chocolate licorice! ), fudge, sours, taffy, over 21 different colors of m&m’s and more. Super candy fans will love all the adorable logo items. Polish off your sweet tooth with some salty, fresh popcorn. Candyality is also a great place to wrap up an awesome, hand-picked and wrapped gifts for a special someone, and it is the place to go for holiday-themed treats.